You may have missed it but earlier this week, the very latest of Brazil’s famous Gracie family made his successful debut in MMA competition. At RFC 1 in Tokyo, Kron Gracie scored a first round submission of Hyung Soo-Kim, continuing a long Gracie family tradition which includes his legendary father, Rickson (who, in fact, cornered him for the bout). The Gracie dynasty dates back further, of course, to his great uncle Carlos and grandfather Helio, who fought in Brazil’s seminal “vale tudo” (anything goes) events almost 100 years ago. The details of those days, and how they led to today’s MMA product (including the UFC, which was co-founded by Helio’s son Rorion Gracie) are the subject of much debate — even within the Gracie family. 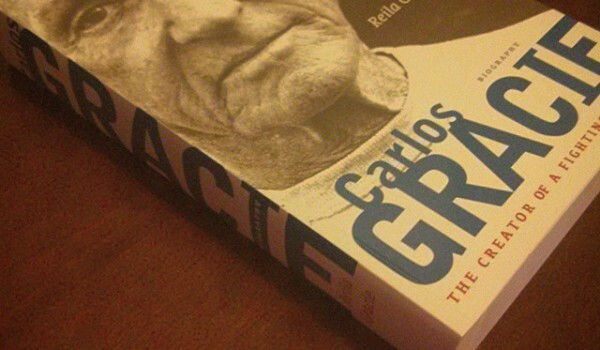 Those interested in untangling this part of MMA history were gifted something special this year as the English translation of Carlos Gracie: The Creator of a Fighting Dynasty by Reila Gracie, was finally released, six years after its original Portuguese printing. Is it on your Christmas list? Maybe, thinking of it for someone else? Read on. Reila spent some ten years compiling information to write the book, and it shows. Its 537 pages deal not just in jiu-jitsu, but Carlos’ other life endeavors – among them, creating a huge family of 21 children, his retreating from the public eye to act as something of a shaman, and innovating a diet based on food combinations. Some readers may find themselves bored with the focus cast on Carlos’ eccentric spiritual beliefs and interpersonal relationships – including stories of supernatural events. Its main interest, for me at least, lay in the rings of Brazil, and the jiu-jitsu style that Carlos and his family developed there. After spending three years learning from Mitsuyo Maeda, Carlos eventually accepted a position teaching Rio de Jainero police, and eventually formed his own jiu-jitsu academy. He would fight in several challenge matches and teach his brothers, of whom, Helio became the most prominent fighter. Another brother George was also active as a fighter, but eventually split with both Carlos and Helio. He receives less attention here. The book casts aside the idea of Helio learning only from briefly watching his brothers, part of Rorion’s telling of the Gracie story. Helio becomes the most prominent fighter and instructor of the brothers though, as Carlos eventually retreats to his shaman-like ways. Rather than focus on the careers of better-known figures like Rickson, the fighting careers of Carlos’ sons Carlson and Rolls are offered some well-deserved spotlight. 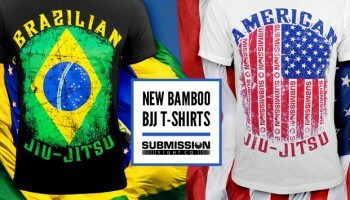 The old myths about Brazilian jiu-jitsu having some root in a lost samurai tradition seem harder to die. Reila fails to describe Carlos’ instructor Maeda as anything but a jiu-jitsu fighter (he, of course, studied Kodokan judo). She isn’t immune to the penchant for exaggeration we find in the fight game(s) either, as in the case of Helio Gracie’s opponents. For example, Helio’s first vale tudo match was against Antonio Portugal, who is described by Relia as a lightweight boxing champion — but a visit to his profile at BoxRec shows otherwise. A later opponent, Kato, is described as the number three jiu-jitsu fighter in Japan — but there’s little to back this up. Masahiko Kimura is described as dwarfing Helio by 35 kg, but the difference seems closer to 5 kg., as Kimura himself noted in his own autobiography. Important figures of the day, per the research of Roberto Pedreira, are hardly mentioned – like Donato Pires, who Pedreira claims founded the academy which Gracie took over and may even be the source of Gracie’s jiu-jitsu. 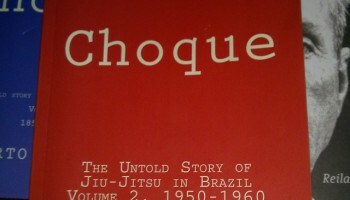 The Oswaldo Fadda tradition of jiu-jitsu is never mentioned. Fadda’s students are said to have defeated the Gracie Academy in a 1951 showdown by such sources as UFC co-founder Art Davie’s book Is This Legal?, also released this year. Describing, or debunking these stories, would be more interesting to me than matters like Carlos Gracie’s side of the legal issues in his youth. The book lists several sources of interviews and a few media outlets, but it isn’t annotated terribly well. Of course, maybe that’s the wrong idea. If you take this for what it is, you’ll probably enjoy it. It’s a few sides of the family giving their sides of the story. It’s not a scholar’s take like Pedreira’s, and it’s not a slick movie like Renzo Gracie-produced Gracies & The Birth of Vale Tudo. But if you’re interested in our sport’s history, it’s a worthy addition to your library.